A few weeks ago I attended a fun party for a good friend that is celebrating her 20th wedding. While the invitation said no gifts, too bad! I got her a mickey locket as she is a die-hard Disney fan. 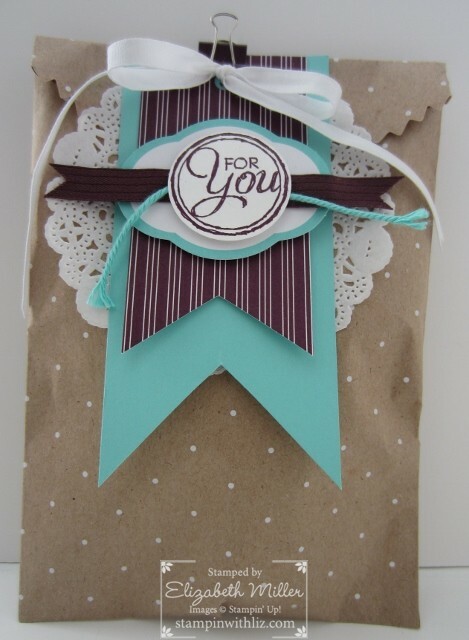 I made this little gift bag using the Polka Dot Tag a Bag Gift Bag and Accessory Kits. It didn’t take much time to add a few extra pieces to jazz up the accessories that are provided in the kit.